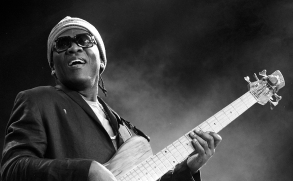 “Art of Riga Jazz” announces concert series program. “Art of Riga Jazz 2018” offers music lovers and devotees 4 outstanding concerts with performers who have already gained recognition from music critics around the world, but have not visited Riga so far. 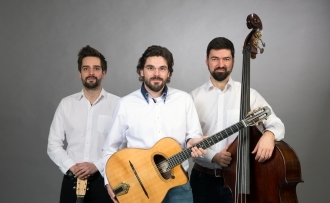 Phronesis (from Latin - the ability to understand how and why we must act to change things, especially to make life better) are widely known with their energy-saturated concerts not only in Europe, but also far beyond it. From Morocco to Brazil, from Australia to North America, artists invariably delight their listeners with a breathtaking rhythm and captivating sounding that is typical only for them. Already on Dec. 04th at Splendid Palace at 19:00 listeners will be taken for a stroll along the narrow streets of Lisbon by a performer who surprised Europe – Salvador Sobral! Salvador Sobral conquered international appreciation of music lovers when triumphed in the 2017 “Eurovision” contest and brought Portugal first victory in 53 years, breaking the longest series of national failures in the contest's history. This Portuguese performer, impressed Europe with an intellectually saturated, introvert sound, combining the bright melancholy of fado with the charm of jazz. Just two days later, on Dec. 06th in Riga, at Latvian Radio Studio 1 at 19:00 an unforgettable performance will be given by the music virtuoso musicians DAVID HELBOCK 'S RANDOM/CONTROL. More than 20 instruments, three brilliant musicians and one stage! On December 14, at 19:00 at Latvian Radio Studio 1, the concert series will be continued with a southern twist by the Cuban cello player Ana Carla Maza. “You are surrounded by an indescribable feeling of bliss when Ana Carla Maza plays, it seems like angels are singing, an overwhelming amount of emotions and feelings in every note … “- so the talented cello player and jazz performer was described by the famous French screenwriter and director Frank Cassenti. Ana Carla Maza fully fills the stage with her unique energy. Her virtuoso play, the ability to improvise and gentle voice – a perfect combination that allows the audience to feel a nuanced sound from Brazilian bossa nova to Cuban habanera. “Art of Riga Jazz” is an absolutely unique series of gourmet concerts and workshops for intellectual music lovers who appreciate quality performance and are eager to experience an unprecedented sound. 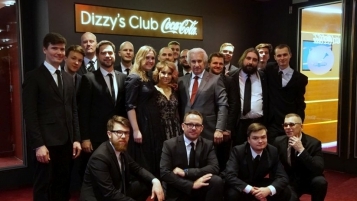 Within 4 years of this concert series, celebrities such as Terry Bozzio, ALA.NI, Bossarenova, Bill Laurance, Kristin Asbjornsen, Lionel Loueke, Christian aTunde Adjuah, Joscho Stephan trio and many others have visited Riga. 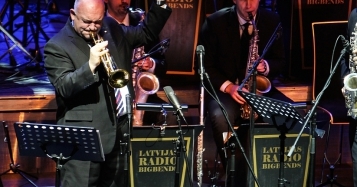 “Art of Riga Jazz” is a world-class sophisticated pleasure for the most demanding listeners.